before that landlines existed only in Post Offices. Back then; we had to first dial the central station at Margao even if we had to make a call within Goa. There were rapid calls and normal calls and the charges for those calls were according to the urgency you had for making a call. If the lines were busy, we had to wait for hours before we could get through the number. Till about 60's the trend remained, as it is, just the number of central stations increased, but direct calling did not happen until the mid-'70s. I am 87 years old today and even though I have a mobile, I find my comfort in the landline. I use the mobile phone also as a mere device to make and receive calls; I don't even use a WhatsApp. My romance with the landline continues to date”, says Rafael Viegas, retired upper service clerk of the Goa Administration Services in what we today commonly know as ther Mamlatdar Office. Goa has always been known for its slow pace and content attitude, even now there are many people who don't race with the time, they enjoy their old world charm and retain their sanity. Even though the younger generation is getting hooked to smartphones and apps more and more, the elderly generation is not very accepting of these fast-paced changes. "I still love my landline and haven't got used to mobile phones yet. For a person my age I feel when I talk to my friends or relatives on a landline, it's more clear and audible. On mobile phones, the network related issues irritate me a lot and hence I prefer my landline", says Daryl Dias, 53, a financial advisor. Picture the times when one would wait for hours to get a call connected to your loved ones. People booked trunk calls through operators and waited desperately to hear their friends or relatives voice on the other side of the telephone. That ring of the bell filled everyone with so much of excitement each time because it was rare and less. The conversations might not be too long, but the emotions were much deep. Rewind back a few years more, and one would wait anxiously for telegrams and then letters. A retired old man would check with the postman daily asking about that letter from his son who was posted far away in the army. The letter would sometimes take months to arrive, but the joyful tears that both people shared, the one who wrote the letter and the one who received was unmatched. Dr Margarida de Miranda, who lives in Loutolim and is 89 years young, shares her story saying, " We used to largely depend on telegrams for sending messages to our friends and family or relatives and not just out of Goa, but even within Goa. Even for that, we had to go to Margao post office and book a telegram. A man beating a drum would inform everyone about the community happenings and made major announcements in the villages. Be it someone getting married or someone's funeral, all announcements were made in a similar way. When telephones came, we again had to go to the central station at Margao to book a call and then they would transfer it to us. I once remember that my son who away from Goa had not called for a few days and I was worried. My husband and I went to Margao station to book a call, I remember we waited the entire night for the call, but it never came. When we went back to the station to check, we saw everyone was fast asleep and no one bothered to transfer that call to us. Those were the days of long waits, but meaningful conversations. We got a landline phone at home somewhere around the late 1990s and I use the landline even now, sometimes the voice doesn't come clearly and the numbers don't connect, but I am still happily using it. I don't know how to use mobile and neither I want to learn. I am content in my own way," she concludes. Love stories blossomed over love letters and love notes. Both the girl and boy would wait for a letter from their partner over sleepless nights. The words may be few, but the love was true. Fast forward to current times, when the ringing of your phone doesn't bring in any excitement, because it is too mundane, it keeps ringing all the time. Today when a message can get delivered instantly via messengers like WhatsApp, the conversations are shallow. People might not have everyone wishing on their birthdays earlier, but even that one phone call from their near and dear ones mattered a lot. Today your inbox and social media could be flooded with birthday wishes, but do they really matter that much, do you even know half of those people at a personal level? Thankfully in Goa, there are still many parts where this romance of landlines hasn't died. And even though the days of humble phones seem like from a millennium back, the evolution from trunk to touch in Goa happened only over a period of 20 years. 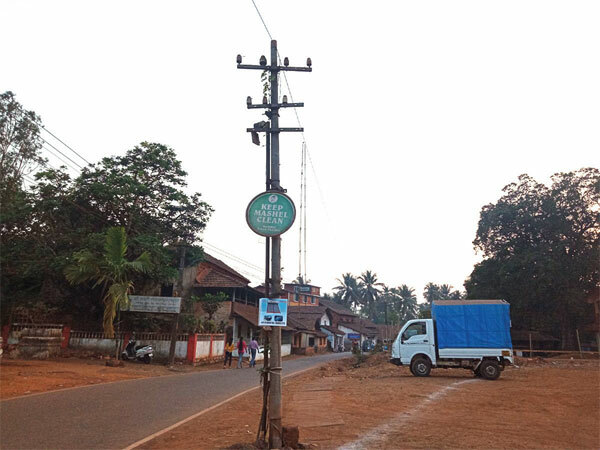 In fact, even now there are numerous villages in Goa like Moira, Curtorim, Loutolim, and others where the mobile network is still a challenge, but that doesn't make the people sad. They are happy and content using their landline phones. In India, Goa is the state with the highest tele-density (phones per hundred users).